In Forever Women in Love & Lust, hunks of hot burning passions, it’s been several years since the main characters from Sweet Sarah’s Bluez met and fell in love or broke up. This storyline follows stud muffin and chic magnet Shannon Chestnut (from Ferrelli’s Restaurant) on her journey to find that special somebody. Along the way, Shannon meets Adele Hailey (The Bookstore and Ferrelli’s Restaurant), who ignores her flirty and bold ways to partner with Percy Burnette (Forever Woman), tailor extraordinaire. Rebuffed by Adele says, Shannon finds comfort with Gloria Lopez (Sweet Sarah’s Bluez) and several other women who are ready, willing, and able to play games. Will Shannon ever get serious long enough to find that special someone? 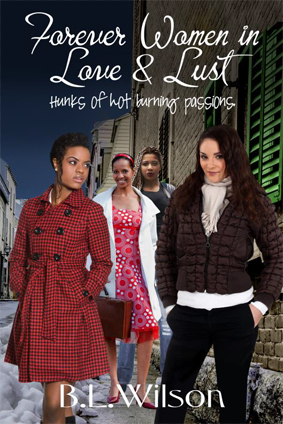 Forever Women in Love & Lust, hunks of hot burning passions, is available for pre-order now on Kindle. The release date is 6/2/18.